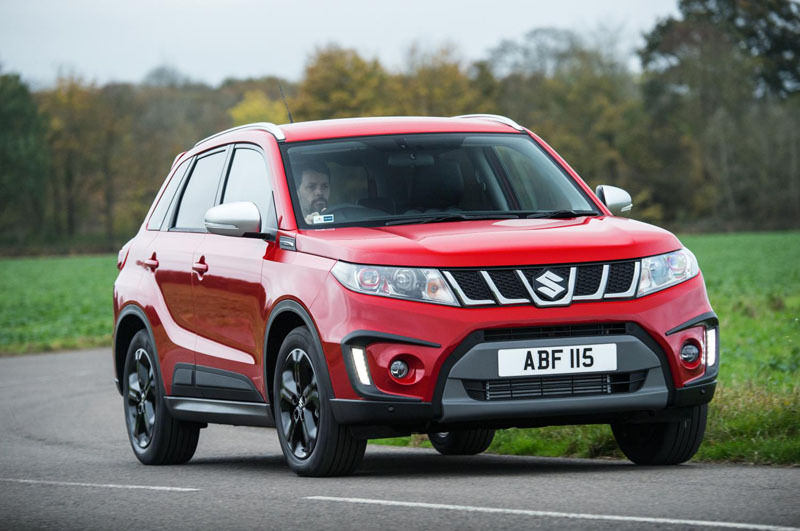 When we reviewed the new Suzuki Vitara earlier in the year, we came away a little disappointed that it didn’t offer more in the way of fun. Much of the blame for that must lie with the 1.6-litre power-plants, but it seems Suzuki is about to address that with a new engine and a sportier model. Dubbed the Vitara S, the new model is the first Suzuki to use the company’s new Boosterjet technology as part of a new 1.4-litre direct injection petrol engine. The Boosterjet system sees the small-diameter turbocharger attached directly to the cylinder head, with the exhaust manifold incorporated into the head’s casting. By carefully controlling the wastegate valve, the system can reduce pumping losses and maintain efficiency by opening the valve during normal driving, but closing it whenever additional boost is required. The result is that peak torque of 220Nm is available from just 1,500rpm, and continues all the way to 4,000rpm. Maximum power is a more exciting 140PS – an increase of 20PS despite the loss of 200cc internal capacity – while economy improves from 50.4 to 52.3 mpg, and CO2 emissions fall from 130 to 127 g/km. 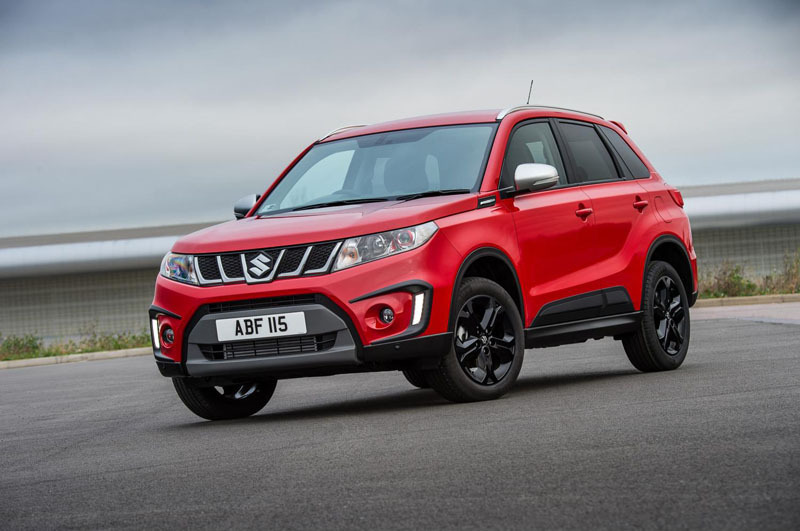 Of more relevance to us, considering our criticism of the 1.6-litre car, is that the Vitara S can now sprint from 0-62mph in 10.2 seconds – that’s nearly two seconds faster. As standard, the Vitara S drives all four wheels through a six-speed manual transmission, while a six-speed auto is available as an option. 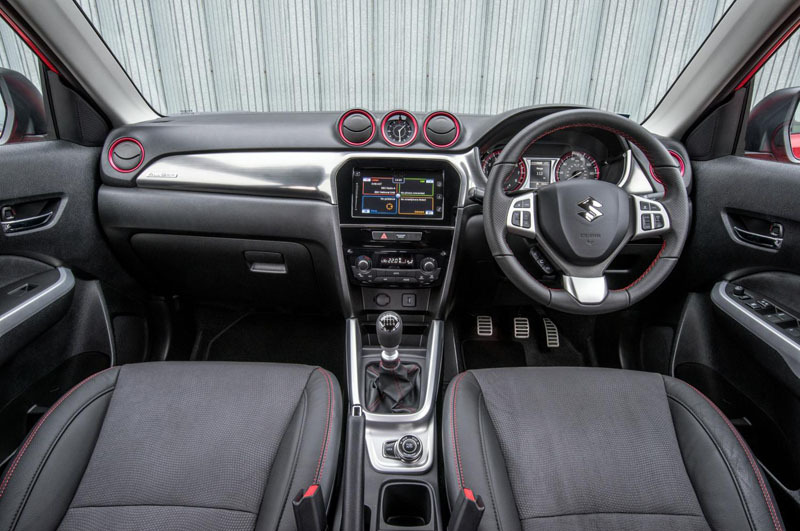 The Vitara S is based on the top-spec SZ5 trim, but adds a number of styling enhancements, with a unique front grille, restyled LED headlights, black body-side mouldings, a roof spoiler, satin silver door mirrors and 17-inch black alloy wheels. The interior, meanwhile, features a silver dashboard fascia, alloy pedals, red stitching and red vent accents. The Vitara S is available in four colours – Bright Red, Cool White Pearl, Galactic Grey, and Cosmic Black – with prices starting from £20,899. It goes on sale in the UK from January 2016. You can read our Vitara S Boosterjet review here.